National leaders of the Anglican Church of Canada have penned a strongly worded letter to Lynn Beyak, the Conservative senator who recently mounted a defence of the Indian residential school system, to denounce her remarks and to take ownership for the atrocities committed in schools run by the denomination. Leaders of the Anglican Church of Canada have penned a strongly worded letter to Lynn Beyak, the Conservative senator who recently mounted a defence of the Indian residential school system, to denounce her remarks and take ownership of the atrocities committed in the church-run schools. In a letter sent Monday, church leaders said they were "dismayed" that Beyak would try and shed a positive light on the system, telling her, rather, "the overall view is grim. It is shadowed and dark; it is sad and shameful." "Senator Beyak, you are quite right in saying that for a small minority of survivors, their personal experiences of residential school were 'good.' But in much greater numbers, the personal experiences of children who were housed in those schools were 'bad — very bad in fact," the letter, written by the Most Rev. 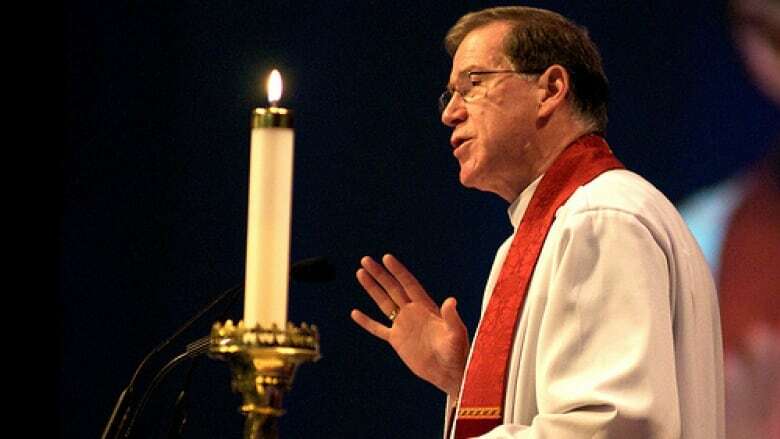 Fred Hiltz, the archbishop and primate of the Anglican Church of Canada, the Right Rev. Mark MacDonald, the national Indigenous Anglican bishop, and the church's general secretary, Michael Thompson, said. The church leaders note children were forcibly removed from their homes, subjected to exacting punishment for speaking their native tongues and were subjected to "rampant" physical, sexual and mental abuse. "There was nothing good about children going missing and no report being filed. There was nothing good about burying children in unmarked graves far from their ancestral homes. It heaped cruelty upon cruelty for the child taken and the parent left behind," they wrote. Between 1820 and 1969, the Anglican Church ran three dozen "Indian" and "Eskimo" residential schools and hostels, many of which were built by the federal government. As the church itself concedes, the goal of the schools was the assimilation of educated Indigenous peoples into the non-aboriginal world — "the 'savage' child would surely be re-made into the 'civilized' adult." Beyak, an Ontario senator appointed by former prime minister Stephen Harper in 2013, said she has spoken to Indigenous people who have told her of the positive experiences they had while at the schools, adding many have kept their Christian faith after it was imparted to them by school administrators. In a meeting of the Senate's Aboriginal Peoples committee last month, Beyak said, "I was disappointed in the Truth and Reconciliation Commission's report in that it didn't focus on the good. The people I talk to are Christians." "Conditions in these schools led to fires, to outbreaks of diphtheria, to gas leaks. Children died. We cannot speak about the residential schools without acknowledging these truths. To do so would once more silence the witness of thousands of children — some of whom never returned home," the leaders write in response to the senator's assertions. The letter notes that a former leader of their church, Archbishop Michael Peers, issued an apology to survivors in 1993, more than a decade before the federal government acknowledged the destructive nature of its assimilationist policies. Hiltz, the most senior archbishop in Canada, added later in an interview that the church accepts it played a hand in this dark chapter in Canadian history, but it is resolved to do what it can to foster a spirit of reconciliation. Beyak's comments hinder that effort, he said. "What I would say to the senator, with respect, is that she has a responsibility, I believe, as a person in public office to make sure Canadians are hearing the whole story," he said in an interview with Rosemary Barton on CBC's Power & Politics. "What this points out is that there are a number of Canadians, who, I think, need to make a concerted effort to educate themselves about this sad and lingering legacy in our country." Hiltz said Beyak is correct to point our many schoolchildren had positive experiences — he said he knows some of them, and they are "actually grateful for that" — but many more had negative experiences that subjected First Nations communities to intergenerational trauma. The Anglican Church has taken the Truth and Reconciliation Commission's calls to action seriously, Hiltz said, and has formally adopted the United Nations Declaration on the Rights of Indigenous Peoples, which includes provisions on spiritual matters, including the right to practise, develop and teach their own spiritual and religious traditions, customs and ceremonies. Indigenous peoples make up about four per cent of the Canadian Anglican population, according to the church, and about 225 congregations have all or nearly all Indigenous membership. There are approximately 130 Indigenous Anglican priests in Canada, many of them working on a volunteer basis. The Anglican Church has had some sort of relationship with Indigenous people in Canada since 1753 when the Rev. Thomas Wood came as a missionary to the Mi'kmaq people.